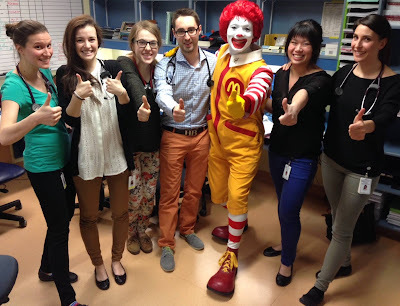 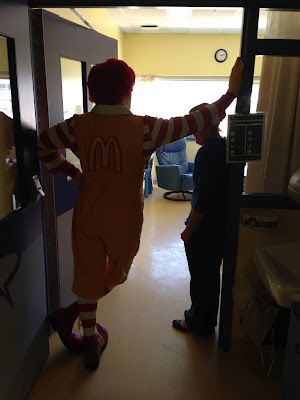 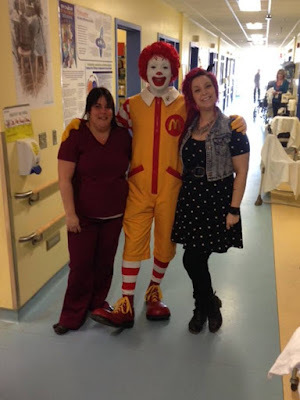 Weighty Matters: Why Does Ronald McDonald Keep Touring This Quebec Children's Hospital? 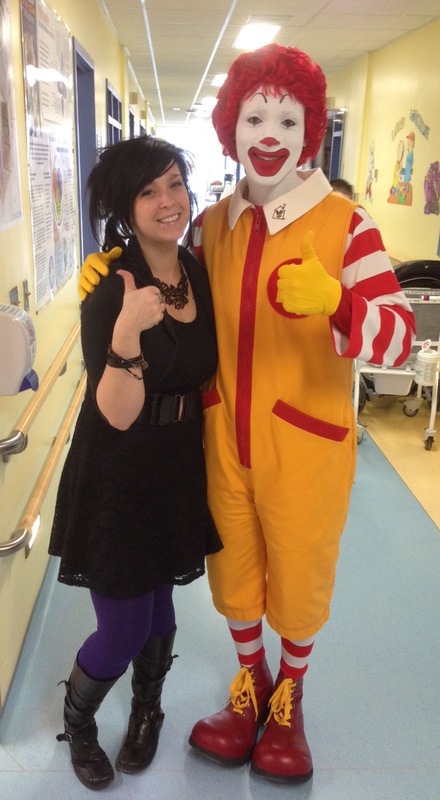 Why Does Ronald McDonald Keep Touring This Quebec Children's Hospital? 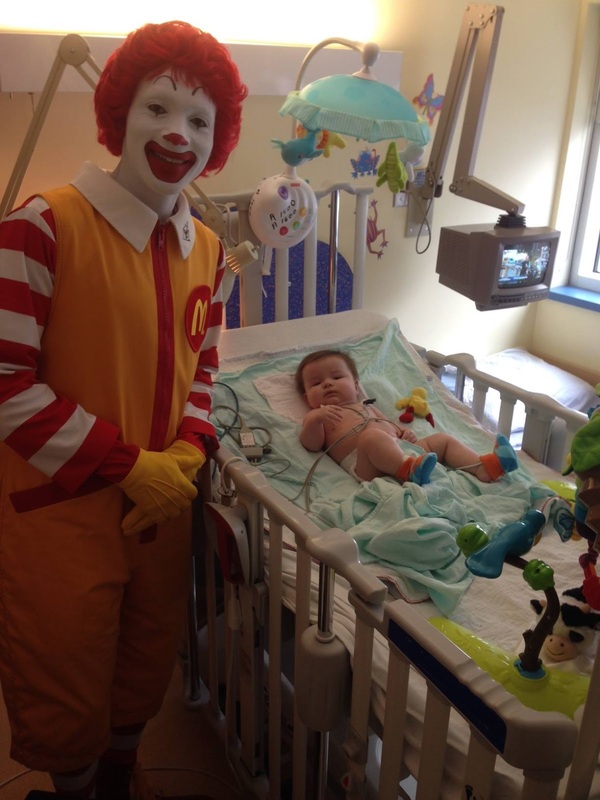 The hospital is Centre hospitalier de l'Université Laval (CHUL) which in turn houses Quebec City's paediatric teaching hospital. Somehow I would have thought that a teaching hospital might not need someone to point out that enabling McDonald's to build deep brand loyalty among vulnerable children and their parents probably isn't in those same kids' and parents' healths' best interests. Below are a series of photos from their Facebook page from at least two separate visits.